We’re in the middle of a media bloodbath. News companies, begging for any new digital ad revenue and solid monetization footing, are cutting editorial teams in the name of a “video pivot.” Why? One reason is that video is hot right now and advertisers love to spend money on new things. Another reason is that Facebook and Google, which dictate media consumption, want to emphasize video. But while media organizations flail, Facebook wants to let marketers know that video really is the future. A new report from Facebook explains that more people are watching videos on the platform, and more people are expecting to watch video. At first glance, this seems like a normal internal research sort of project. Upon further examination, it’s a bit odd. For one, instead of focusing on how video is paying off for publishers, the report talks about how more Facebook and Instagram users are emotionally engaging with video. Which, in a sense, is a self-fulfilling prophecy: Facebook has been shoving video down everyone’s throats—video is everywhere on our news feeds. So it shouldn’t be shocking that people are watching more video and expect to watch more of it. This is all a way for Facebook to sell to marketers that video is the future, without really showing ROI. 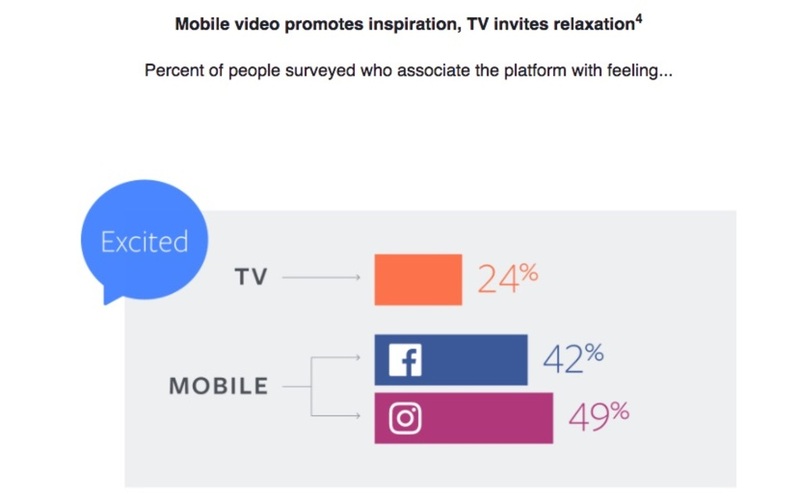 People feel “inspired” watching Facebook videos. Great! Look at how we force it upon our billions of users and then they watch it.